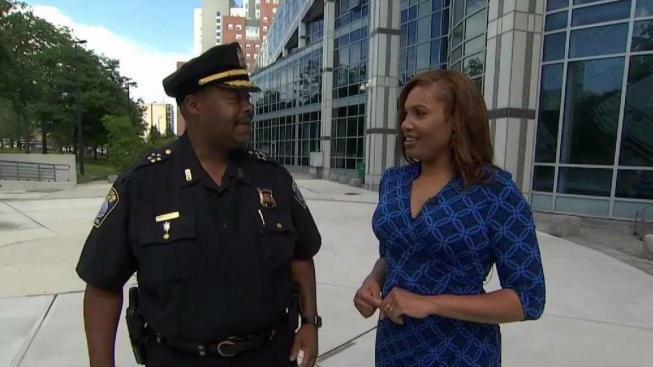 NBC10 Boston's Latoyia Edwards spoke exclusively with incoming Boston Police Commissioner William Gross. 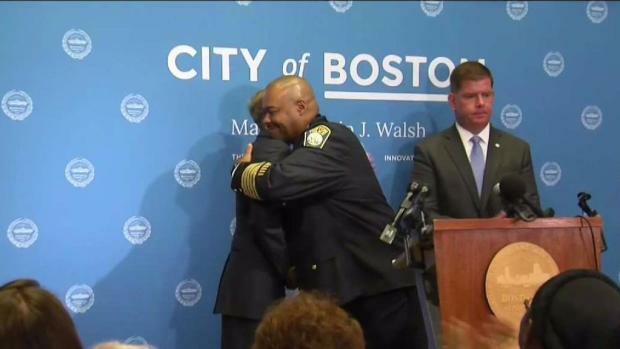 William Gross will make history on Monday when he becomes the first black police commissioner for the city of Boston. Before starting his new job, Gross spoke exclusively with NBC10 Boston’s Latoyia Edwards about not being afraid to tackle tough issues like racial tensions, police brutality and the anti-police movement. As Gross walks through Boston neighborhoods, he is always mentoring kids. It’s something he learned from his coaches as a 12-year-old football player in Dorchester. "It can start with a coach. Or just a hi. A comforting word. But look what it manifests to be,” he said. Gross knows his appointment as Boston’s top cop is historic, so what does it mean to him to replace William Evans and become the city’s first black police commissioner? Success has not come easy for Gross, though. "There were people that called me Uncle Tom, sell outs, you're crazy, they hate you, but when I got on board, I learned that not all white cops are bad, not all black cops are good. Good people are good people,” he said. Gross says he’s ready to tackle national issues like police brutality and the anti-police movement. “If things did happen in the past between police or current, acknowledge it and then you educate people about how we're doing things." The 59-year-old outgoing commissioner will oversee the police force at Boston College starting in August. Gross specializes in de-escalating tensions. In March 2015, an angry mob surrounded Gross at a double shooting in Roxbury where an officer was shot in the face and the shooter was dead. Since his historic appointment, people have been congratulating Gross and say they are proud of his accomplishment. But what’s his plan for the city? Gross says he’s going to take community policing to the next level. “The police, the community, the private sector, right? The clergy, professional sports team, even media, getting it out, telling fair stories like alright one or two percent are doing bad but you have all the rest doing the good things. Thats what creates the village," he said. 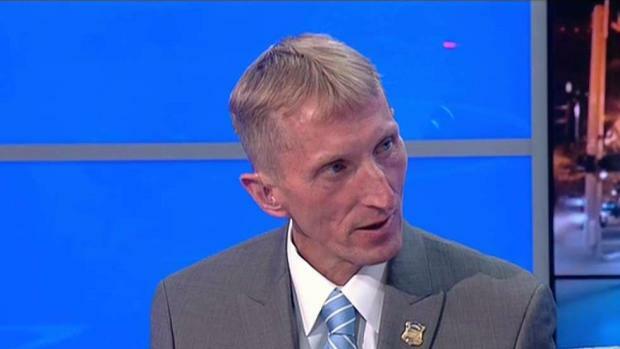 William Evans is retiring as Boston's top cop. Latoyia Edwards got to know the city's police commissioner quite well. William Gross, a kid from a single parent home in Dorchester, is now ready to lead the city of Boston’s police force.